Oluremi Tinubu a former first lady of Lagos State and a Senator of the Federal Republic of Nigeria,She is married Asiwaju Bola Ahmed Tinubu-former executive Governor of Lagos State and the National Leader of the APC. They are happily blessed with children. Oluremi Tinubu is the youngest of 12 children and she was raised in Ogun State but an indigene of the Itse-Kiri tribe of Nigeria. Oluremi Tinubu is a holder of a National Certicate of Education in Botany and Zoology from Adeyemi College of Education, Ondo State. She thereafter obtained a Bachelor’s degree in Biology Education from Obafemi Awolowo University, Ile-ife. 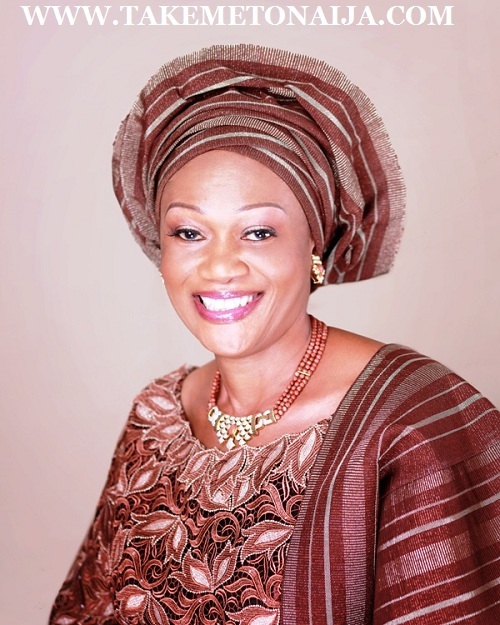 Oluremi Tinubu became First Lady of Lagos State when her husband, his Excellency Asiwaju Bola Ahmed Tinubu became the Governor between 1999 and 2007. As a First Lady she floated the New Era Foundation, a non-profit organization dedicated to youth development, girl-child education, women empowerment and inspiring young persons to excellence. Oluremi Tinubu has executed a lot of philanthropic acts to alleviate the plight of indigent persons and most importantly, she has touched the lives of girls and women in her constituency. She has also written a number of publications; including an auto-biography- The Journey of Grace – My FaithWalk. Therefore, in recognition of her achievements and contributions to societal development, Oluremi Tinubu has been honoured both locally and internationally. Among these are the National award of the Officer of the Order of the Niger [OON]; Ghana Noble International Award for Leadership (2004); Gambian Diamond Award for Immense Contribution to the Emancipation of People from Poverty (2005); and several other local awards including chieftaincy titles. It is also worthy to note that, in appreciation of her contributions as a role model, the AFAO/WAWA (Association Des Femmes De L’Afrique De L’Ouest/West African Women Association) named the Oluremi Tinubu Women Training Centre in Gorom, Senegal after her. In 2011, she contested for and won the Senatorial seat for Lagos Central under the Platform of Action Congress of Nigeria(ACN). Again in 2015, she recontested and also won the seat for Lagos Central under the Platform of All Progressive Congress(APC). When Remi was elected, it was challenged at the Legislative House Election Petition Tribunal -which would later convene and uphold the election in 2012. Remi was one of over 100 senators elected in the 8th assembly in 2015. However, only six of these were women. The others were Stella Oduah and Uche Ekwunife, who both represent Anambra, Fatimat Raji Rasaki, Rose Okoji Oko and Binta Garba. Provision of maintenance grants to alleviate the plight of the elderly (Elderly Citizen Assistance Scheme). Through the Senate Committee on Education, she obtained Federal support for the rehabilitation of Jibowu Junior High School, Yaba [N21 million], Banjo Primary School, Otumara-Ilogbo, Ebute-Metta [N20 million] as well as N15 million each for Holy Trinity Primary School, Ebute-Ero, Ansar Ud-Deen Primary School, Oke-Popo and Ire-Akari Primary School, Orile-Iganmu. What pet name does Asiwaju call you? He has always called me Remi, but now, he calls me mummy and I call him daddy. My husband is very down to earth and not the lovey-dovey type. He is a soft man, though he hides his emotions. On several occasions, he forgets my birthday. He even does funny things on Valentine’s day because he knows I like Valentine’s. But he would just come, analysing who Valentine was and all the story behind him to the extent that he messes the day up for me. Asiwaju would purposely forget my birthday. I was set in my ideas about marriage, but he made those ideas crumble in his own way. I would say that we have to be together on the 31st of December, because I had this funny belief that the first person one sees on 1 January is the person one would spend the rest of the year with. See how twisted I was! But it is different with this man. I have a lot of people who share him with me. It was not like that before he became a politician. He would always remember my birthday and other important events. We don’t have a private life anymore because he is always surrounded by a lot of people. On some occasions on my birthday, I would just excuse myself and stay in my room, and he would leave the people quietly when it is midnight, to say happy birthday to me. He would come upstairs and pretend as if he wants to use the toilet or bathroom, just to make sure he doesn’t miss saying happy birthday to me when it is exactly midnight. He knows how sensitive I am to such things. So, he tries to bend backwards in his own way. I believe there is a strong love between both of us and also subscribe to the saying that love suffers long and conquers all things. Even when I advise couples, I always emphasise that love endures and has to be made strong. What is his eating habit like? Our eating habit is the same. We are not big eaters, but we eat anytime we feel like. If we really want to eat, we eat. We aren’t fussy about food. He always likes me to cook. Did he cook for you in those days? He never cooked for me o! But on a particular day while we were abroad, I was surprised that he knew how to prepare yam flour. I came home from church on a particular day and saw a used pot with residue of pounded yam stuck to it. I first wondered if anyone had come into the house to fix his meal when I was absent. But I later found out that he did make the yam flour by himself. He tried it again and I discovered that he was better than me at doing it. You could still see little lumps if I made it, but he does it so smoothly. I also remember that I have had to tell him to take his plates to the kitchen after eating, while I took care of the kids and other chores. It got him angry, but he later did it. He is not a man any woman can push around because he would do whatever he wants to do in his own time, and at his own pace. And that was the only time I ever said that.